Bodog Casino is primarily Canada’s favourite casino and focuses on Europe. However, they also have a brand just for American players and, they have some decent enough bonuses and promotions on offer to make it worth sticking around for a play or two. The lack of live chat is a bugbear but, there is always the option to call them 24/7 to have any issues or questions resolved. The Bodog Casino was founded in 1994 and is registered and licensed in Antigua, in the Caribbean. 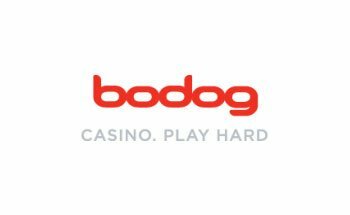 Security and trust are high up on the agenda, operating as Bodog Europe, pursuant to current Interactive Gaming and Wagering Licenses, and is regulated and overseen by the Antigua and Barbuda Financial Services Regulatory Commission, Directorate of Offshore Gaming. The UK's Department of Culture, Media and Sport have designated and recognised Antigua and Barbuda as a trusted, highly-regulated "white listed" jurisdiction. The Bodog brand motto is "History. Knowledge. Trust." Bodog Casino has been going for almost a decade and, in that time; many business moves have been made to keep up with the times. 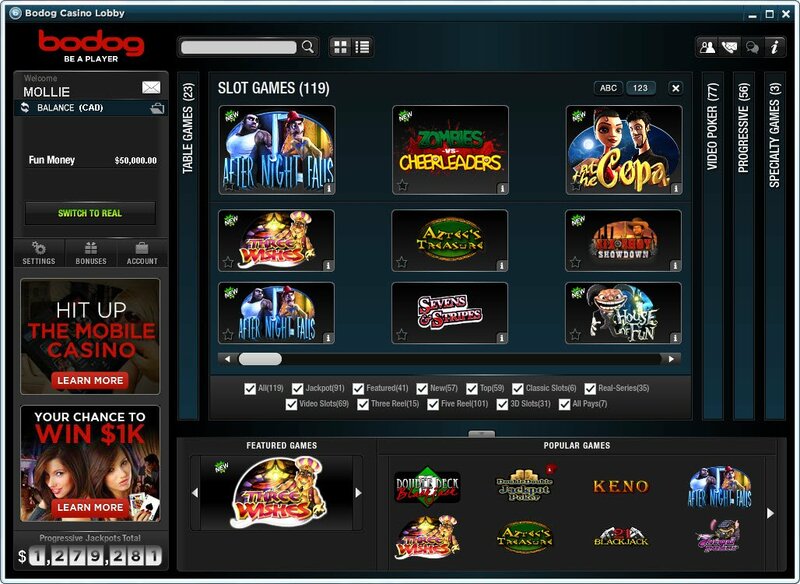 Having been one of the first customers of RTG Gaming, Bodog Casino bought the source code and now runs their own software platform. 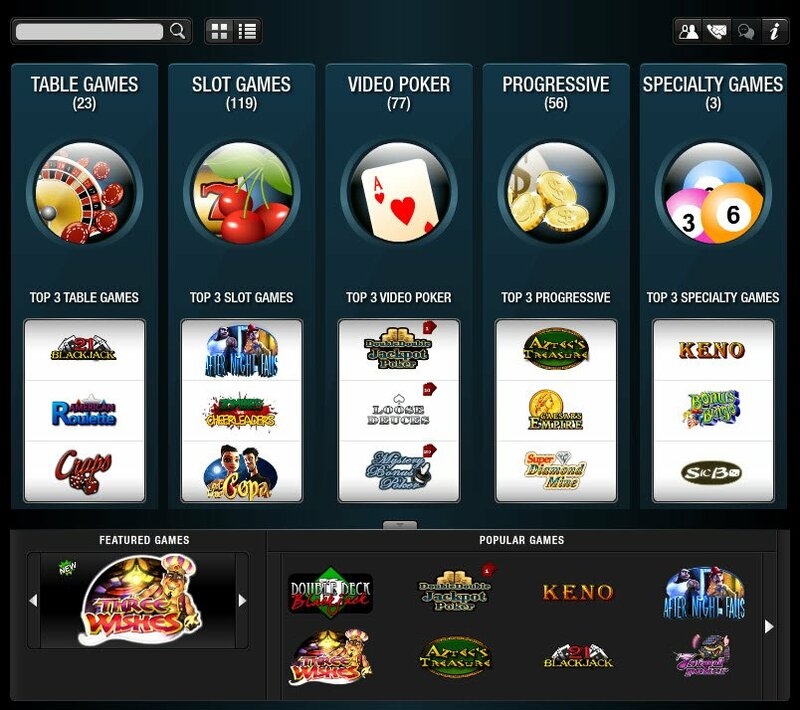 They are also able to continue supplying Bodog Casino loyal customers with old RTG slot favourites. Bodog Casino software enables play via download or via your flash based browser. Bodog Casino supports you going wild at the weekends with double casino points on offer and a cool grand up for grabs. Signing up is fairly simple, apart from the usual annoying password protocol where, you must have a capital letter, number and your shoe size in order for it to be accepted. The Bodog brand means that there are different casinos depending on where you are in the world. For instance, US players cannot play Bodog Casino games, that's just for Europeans, Australians and Canadians. However, in a pretty neat move, US players are provided with Bovada Casino, a Kahnawake licensed site, run by Meadway Leisure Ltd.
You can go mobile with Bodog Casino, it supports iOS and Android devices. Bodog Casino 3D slots are also a sight for sore eyes and, will keep you thoroughly entertained, no matter what method you use to play them. The Bodog Casino welcome bonus is superciliously superb compared to a lot of others around. You will get a 100% match bonus of up to $600. And the Bodog bonuses don't stop there. Wednesdays are heating up with a $25 bonus on the featured slot of the week. How can we forget the Bodog Casino Race? If you're up for a challenge then you can earn $120 in bonus chips and have a chance at winning $2,000 in cash. There are always new innovative promotions and, I most definitely get the feeling that Bodog Casino cares about its players and likes to give us that little bit extra. An online enquiry form tells you that Bodog Casino aims to respond to you within 90 minutes, clarifying that more technical queries may invoke a longer response time. Telephone numbers are on hand, depending on what your question relates to and, they are contactable 24/7 but, there is a distinct lack of live chat support on offer which is a real shame. Bodog Casino deposit methods are numerous and include all the favourites of the English speaking world, in direct collaboration with which brand you are playing and where you are playing from. Poker is definitely my online game of choice, and in my opinion, Bodog Casino is the best one to play at. I recommend you start playing at Bodog Casino if you like Poker too. Find out about their Poker Set-Up promotion, and start referring your friends too! This is a great opportunity to win big.